Review: Look Back In Anger. Derby Theatre. – East Midlands Theatre. 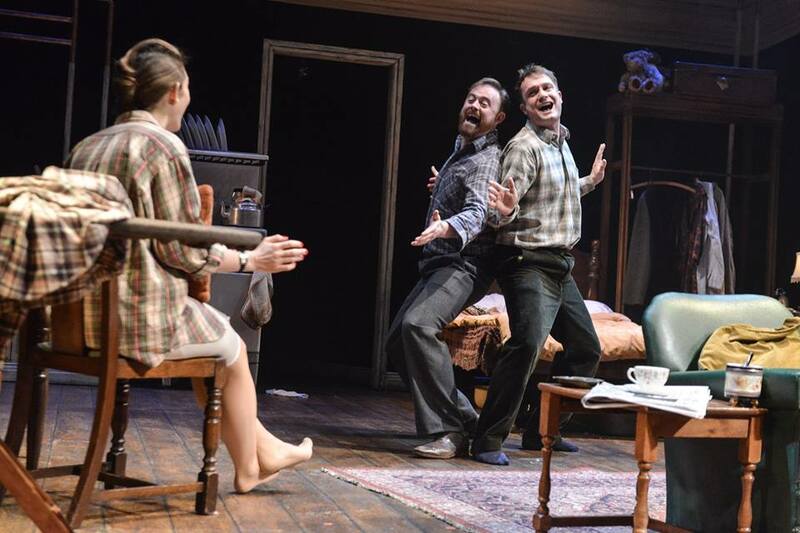 No simple ‘lights up’ on a woman ironing and two grumpy young men reading newspapers in this excellent Derby Theatre production of John Osborne’s theatre classic Look Back in Anger. Director Sarah Brigham makes her production full of immediate impact from the very start. Four of her five characters enter the arena (for that is what it is) in stark lighting (courtesy of lighting designer Arnim Friess) to an aural collage of 1950s radio announcements; in effect, a regular avalanche of worrying post war news items. This sets the mood of the piece in this tiny abode and already in the cramped attic set we have a sense of national and personal anxiety. Plus it is a duller than dull Sunday and it is raining cats and dogs outside. How much worse can it get? Exposed water pipes course down from a suspended water tank above the kitchen sink and there are enough vintage artefacts and period furniture on the set to keep a whole town of vintage enthusiasts drooling for months. Above designer Neil Irish’s atmospheric set the ceiling is suggested by substantial architrave in the shape of a square giving the whole playing space a feeling of a boxing ring. 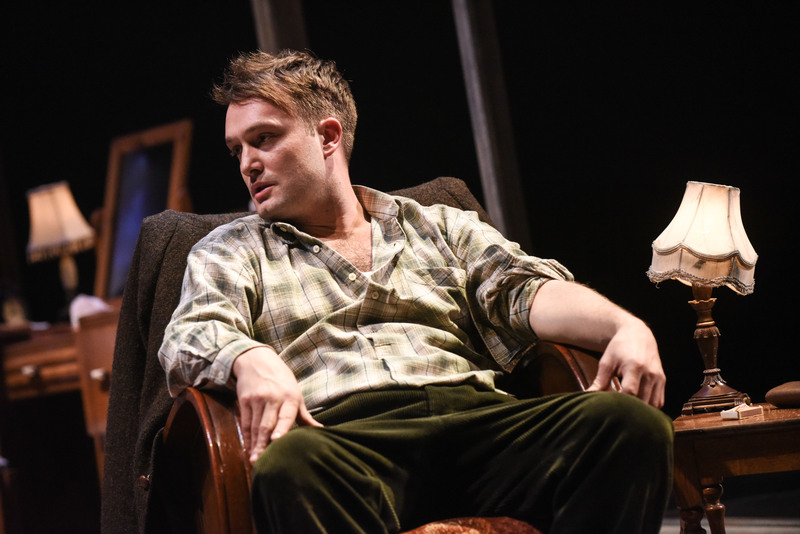 If Alan Sillitoe had written the play we might have had Loneliness of a Long Distance Moaner as the title except that the tiresome tirades of lead character Jimmy Porter (Patrick Knowles) are not just a long old moan. Under Sarah Brigham’s keen direction Knowles gives us a real live, crusading, kicking, spitting and essentially very lonely, Jimmy Porter. Knowles’ in depth portrayal shows us a young educated working class man inwardly and very often outwardly shouting out his opinions and bellowing in frustration that no-one seems to have the balls to argue with his rants or indeed agree with his sometimes phobic beliefs. His poor wife Alison is often the brunt of his cruel taunts. However, Alison Porter is no cowering wimp suffering his blasts of social and political indignation. Alison Porter is gently powerful as played by Augustina Seymour and her concentrated moments of directly aimed silence act as her main weapon in their bleakly unhappy marriage. We may question whether the, not overly sympathetic, Porter is actually conscious of the effect of his outbursts and accusations viciously thrown at others. Even his easy going co-worker Cliff (Jimmy Fairhurst) gets to the point of telling (not asking) the too vocal Jimmy Porter to shut the f**k up occasionally and Cliff also sides heavily with Alison Porter protecting her with hugs and friendly kisses. Their close relationship together suggests a potential, more loving life, for Cliff and Alison. Daisy Badger as Helena and Augustina Seymour as Alison. Photo by Robert Day. Tension is already high in the Porter flat when the temperature is turned up even higher to the point where blood starts to boil. Then in walks jobbing actress and old friend of Alison – the glamorous and no nonsense Helena played with great style and poise by Daisy Badger. In a very short scene change actualised by the actors and enhanced by austere lighting effects and discordant sound effects (sound designer Ivan Stott) we are given the distinct impression of time passing as Helena makes herself temporarily at home. Actor musician Stott also plays Colonel Redfern to period perfection. 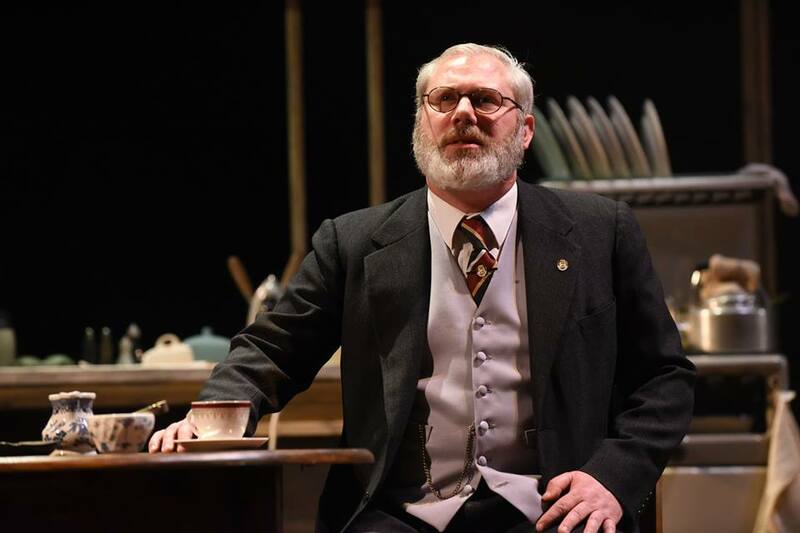 There follow several new revelations and surprise happenings to take the story of the play on an upward trajectory and then crashing down to the point of an open ended sentimental end. 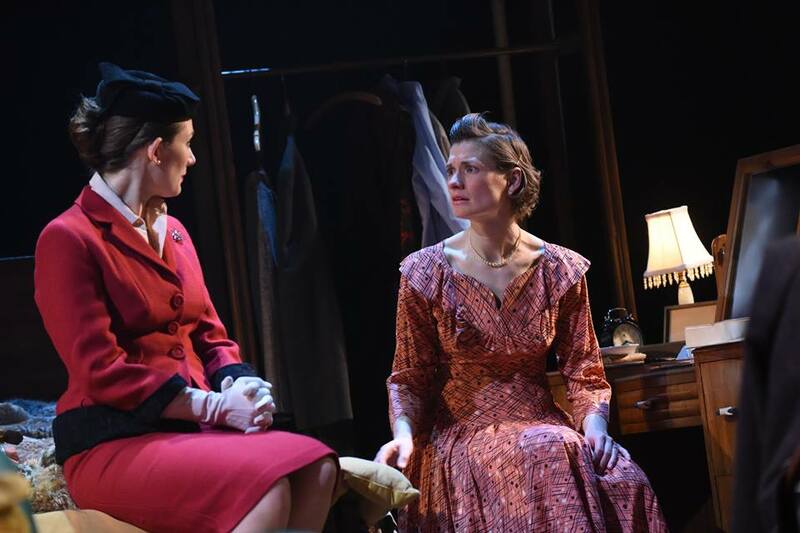 As Sarah Brigham and Derby Theatre bring this sterling production to the Derby stage in the 60th year of its anniversary our clamorous applause celebrates an evening of utterly engrossing theatre and top quality acting. Look Back In Anger is co-produced with Octagon Theatre Bolton and runs at Derby Theatre on the main stage until Saturday 26 March. Alongside Look Back In Anger Sarah Brigham has also directed a companion piece to the play set in 2016 – sixty years on from the original. The play is called Jinny and is written by Jane Wainwright and sees a young woman (Jinny Porter) question her contemporary existence through humour, song and story-telling. East Midland Theatre’s review can be read by clicking JINNY. 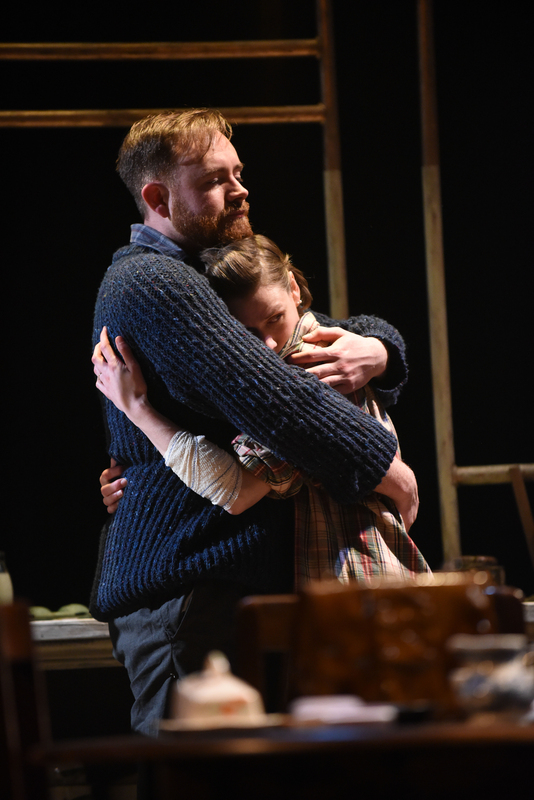 Review: Jinny at Derby Theatre. Companion piece to Look Back In Anger.